*Last admission at 19:00 PM. Please note food and drinks are not permitted in this attraction. Work Hours Daily 9:30 AM - 20:00 PM (last entry by 19:00 PM). Closed Days Early closures: 7th, 20th, 29th and 30th May. Last entry 4pm. 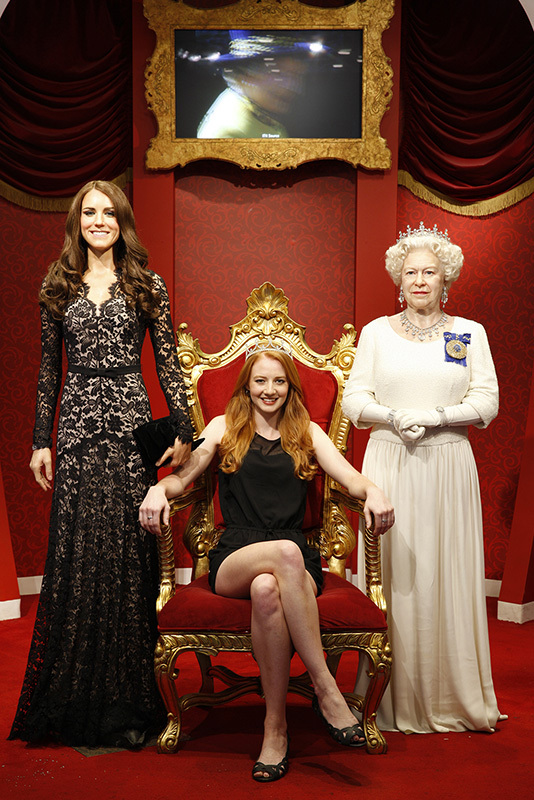 It’s time to feel famous at Madame Tussauds Sydney! Get up-close & personal and with your favourite celebrities and become the star of the story when you step into one of our immersive experiences. You can star in your own Cosmopolitan cover shoot in our Fashion Week experience, hang out with the Hemsworth brothers at the ultimate VIP party or see if you’ve got what it takes to win the MTV best newcomer award at our new MTV Music zone. 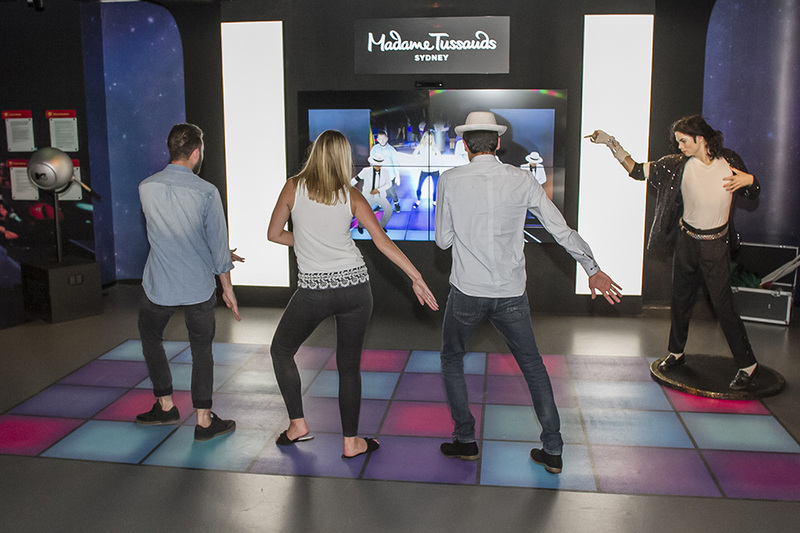 Lay down a track in one of our recording booths and channel your inner MJ in our augmented reality dance experience! Take a photo with Hollywood movie stars or famous leaders. 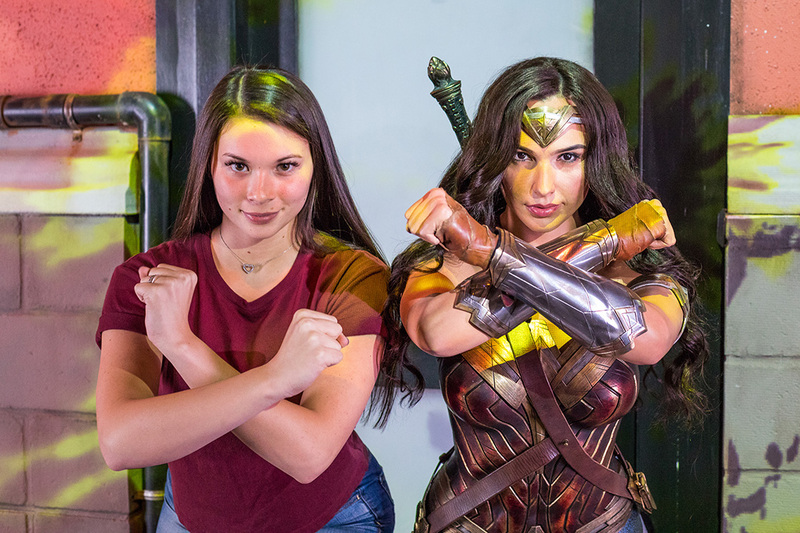 Do all these things and much, much more as you interact with the world’s most famous figures at Madame Tussauds Sydney. So who do you want to meet? You’ll want to bring your camera and there are plenty of photo opportunities available. If your camera battery dies, don’t worry. Madam Tussauds has photographers that will take your photograph and you can review and purchase the prints on the way out. Last admission is before 19:00 PM. There is full disabled access throughout Madame Tussauds Sydney. However, larger motorized vehicles may not be able to access all areas of the attraction. While you are not permitted to bring food and drink into the attraction, light snacks can be bought on the premises. You can easily get here by public transport. You can take the train to Town Hall and walk to Darling Harbour. You could also access Darling Harbour by bus and the ferry. For timetable information, you’ll want to visit: https://transportnsw.info/ If you are taking the Hop On Hop Off cruise or bus you will be able to stop in Darling Harbour. If you have access to internet, you can use our interactive map to get directions from your hotel or other attractions to Madame Tussauds. If you are visiting this attraction during peak season or school holidays, you might find that it is a bit busy. Try to visit on weekdays off season. This is also a great attraction to visit on a rainy day! Madame Tussauds is located right next to SEA Life Aquarium and Wildlife Zoo in Darling Harbour. If you are planning on visiting all of these attractions, it is recommended to make a day of it and check out the other attractions that Darling Harbour has to offer as well.